Winter is here and it is time for a favourite Gujarati dish, packed with vegetables. There are atleast eight vegetables and a whole lot of ghee that go into the making of this one-pot winter warmer. 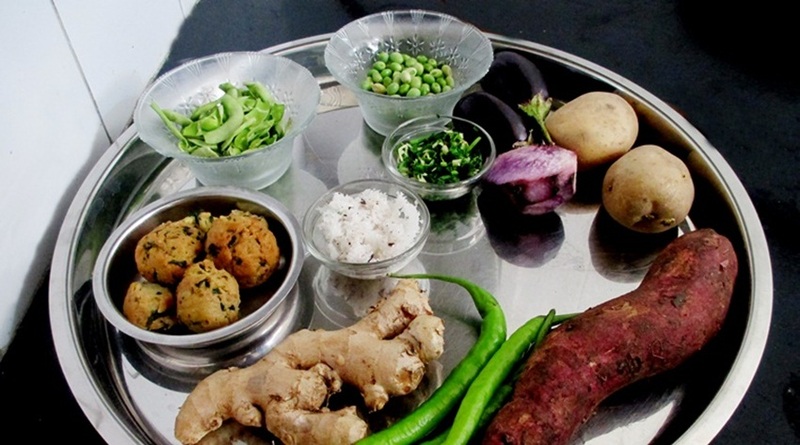 The recipe includes tender Surti beans, unripe banana (except in Surat where they use ripe banana with their peels), small eggplants, starchy potatoes, purple yam and dense, almost-bitter muthias (methi nuggets made with chickpea flour). All of these vegetables are generously coated with a dry masala of fresh, grated coconut, lots of coriander and fresh green garlic, which lends the undhiyu its distinct aroma. Here are our picks of some of the best places in Mumbai where you can get undhiyu. Mind you, the queues outside these restaurants are as long as the lines outside ATMs. They don’t have a Jain version available as yet, but Soam does a mean undhiyu that goes really well with bajra rotis (pearl millet). Of course, you can also ask for puris, which is the classic combination, but the bajra rotis make this winter feast a less guilty pleasure. Cost: Rs 200 for 250 gm. Undhiyo is served with jowar (sorghum) rotis at Swati Snacks and you can count on the restaurants running out of it quickly if you don’t make it by lunch time. Where: Karai Estate, Opp Bhatia Hospital, Tardeo, Opp Bhatia Hospital. Where: Dalamal Tower, Nariman Point. Another classic restaurant that all Gujaratis favour, you can depend on Trupti for undhiyu takeaways. They’re out of undhiyu even before lunch time so best to get there quickly. Cost: Rs 135 for 250 gm. How about some artichoke bruschetta to go with your single malt?